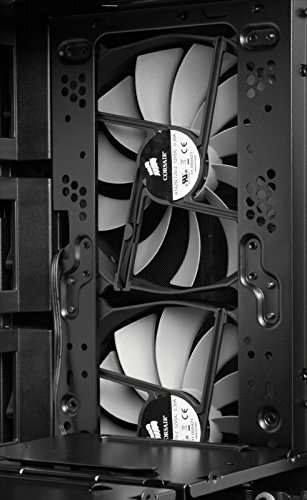 The Corsair 750D Airflow. I knew I was going to overclock from the offset so I went with one of the best airflow optimised cases available this one also just so happens to be one of the biggest cases around without going overboard. I'm glad I got a big case as it was an absolute pleasure to work with. I'm looking into changing the stock af140's for the retail versions purely for the aesthetics. 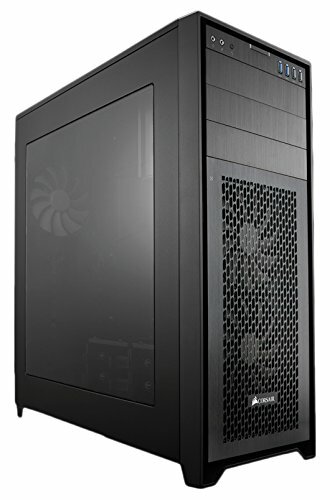 I wanted something that had plenty of room inside and would be great for cooling. This fit the bill perfectly. It's massive. Great for building in, especially if you're a first timer and not very organized (so good for me). 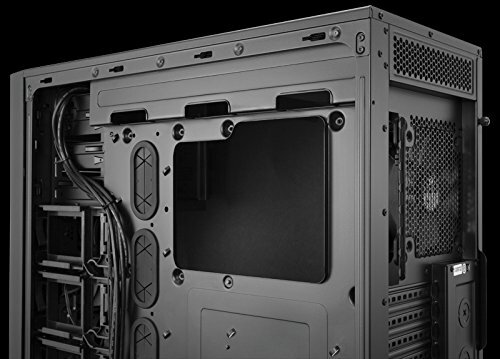 This case is huge, which means parts fit in easily and there is plenty of room for airflow. 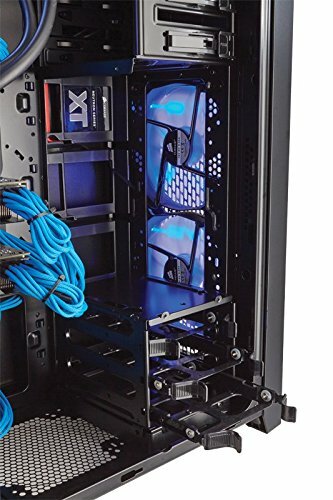 Cable management could be a bit less crowded by the PSU but its not too in the way. This case is amazing. Very easy to work with, lots of room, and great cable management. 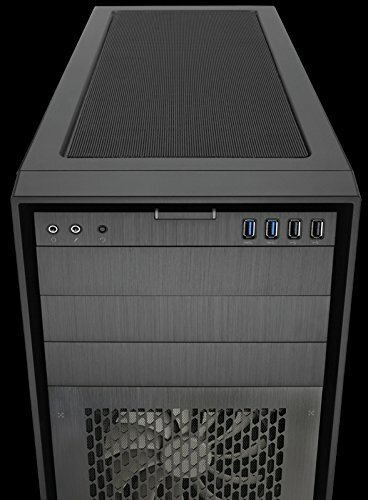 I really liked working with this case as it has the space to do so much and could even be used for a full custom loop, only gave it a 4 as it is literally just a bigger 300R and the back fastens can be fiddly. Love the case for a few reasons. 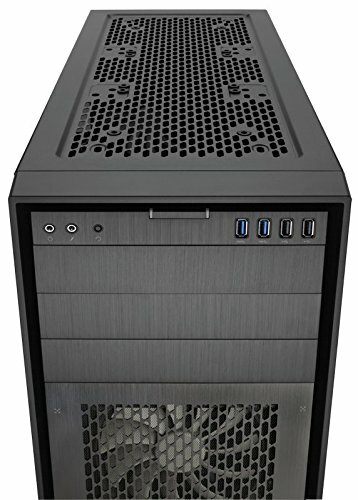 Firstly its very spacious and easy to work in and as a first time builder I think this probably helped more than I think. Secondly, cable management is made fairly easy in this case! The only criticism i would have is that I wasn't a fan of having the PSU on show and thus had to build my own PSU cover. Wasn't that hard and there is a step by step guide in my completed build if anyone is interested. A pretty case with all the expandability you'd need. Although I had problems mounting my dual-socket motherboard. 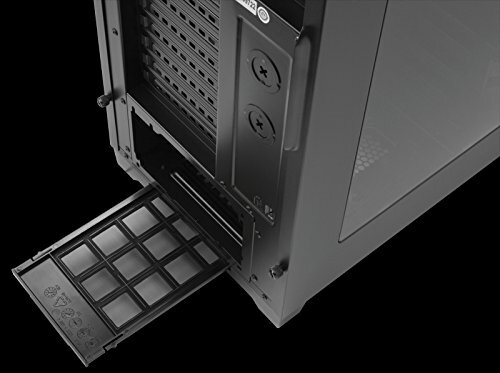 After browsing through the corsair website, it was either this case or the 400C. I wish I went with the 400C instead as I didn't expect the 750D to be so ginormous. It still looks good though and I have plenty of room for upgrades or a custom water cooling loop if I ever decide to go that route. 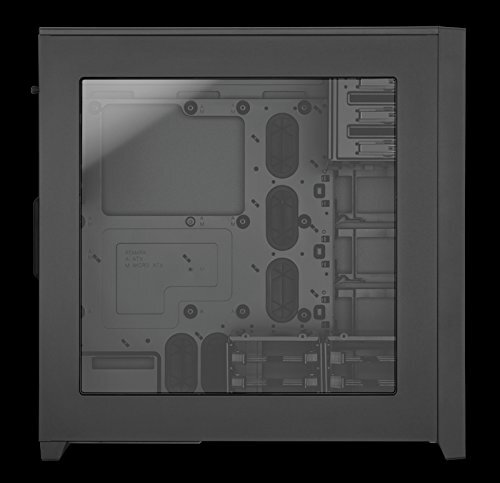 The side windowed panel doesn't close particularly well on my case, I have to screw the top case screw really hard so that the door stays shut. Great case. Easy cable management. However, the damn optical drive bay is not removable. Who the hell rivets these things in anymore. Anyway, I'm prepared to drill out the rivets and remove this crap.